The Black Power Mixtape 1967-1975 gleans rolls of forgotten 16mm film found languishing in the basement of a Swedish TV station for 30 years, and makes a modern documentary from it of a pivotal time in American history. Documenting the explosive Black Power movement of the late 60s/early 70s, the film takes archival never-before-seen footage and candid interviews with many of the movement’s most revolutionary minds including Angela Davis, Bobby Seale, Stokely Carmichael, and Kathleen Cleaver. Modern perspectives of the turbulent epoch are also heard, including interviews with Erykah Badu, Harry Belafonte, Talib Kweli, and Melvin Van Peebles. 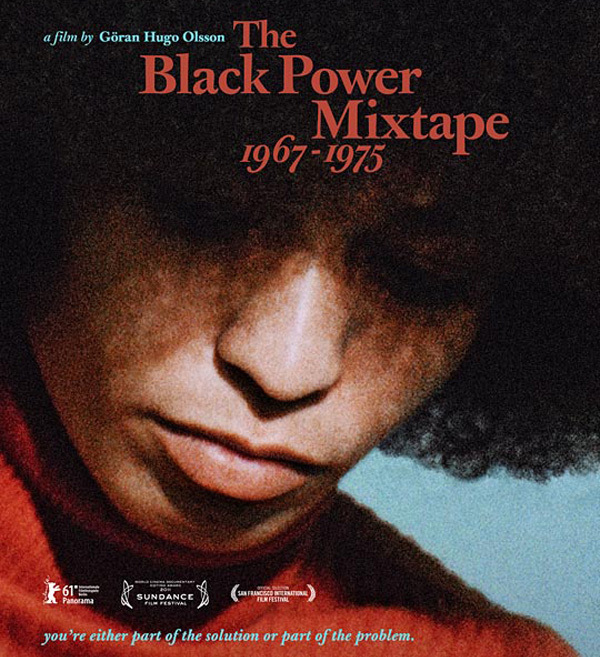 Featuring music by Questlove and Om’Mas Keith, The Black Power Mixtape 1967-1975 has been heralded as an illuminating examination of a very misunderstood, highly complex powder keg moment in our country’s quest for equality and civil rights. The award-winning film, directed by Goran Hugo Olsson, will hit theaters in limited release on September 9th.